ItSaul Natural, LLC is a soil company that came into the Saul business fold in the early 1990s when Bobby and Richard Saul partnered with the late Ernie Higgins, the original founder of what was then a small hen manure compost company. Unlike many soil amendment companies, ItSaul Natural was founded with the purpose of obtaining the very best component materials available to produce the very best end products, as opposed to other soil companies that strive to find a use for waste products, regardless of the quality of the materials. Mr. Natural's raw materials are very consistent and are blended exactly the same every time, insuring uniformity of the mixes. Mr. Natural soil products contain no sewer sludge (biosolids). ItSaul Natural is the sole Georgia distributor of Stalite PermaTill®, an expanded slate aggregate used in green roof soil mixes, orchid mixes and as a soil amendment that dramatically improves drainage in clay soils while providing available moisture. PermaTill is a durable, light weight, non-toxic, expanded slate that is sterile and environmentally inert. It will not degrade, compress, or blow away, therefore it does not have to be re-applied year after year. 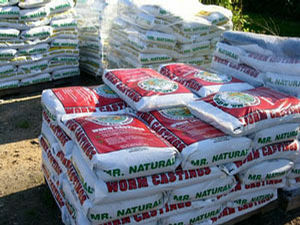 All bagged products are available to Saul Nurseries wholesale customers at our Atlanta and Alpharetta sales locations. CLM and WSM can be delivered in bulk or bagged direct from ItSaul Natural. Custom blending is available. Home gardeners can purchase these products at independent garden centers. ItSaul Natural has developed technical soils that meet engineering standards and specifications for roof top plantings and street tree plantings. Please contact us if you would like more information at 800-301-2887.